Did you know that Hudson's Bay has a new Deal of the Day offer everyday on their website? Discover a new sale every day! 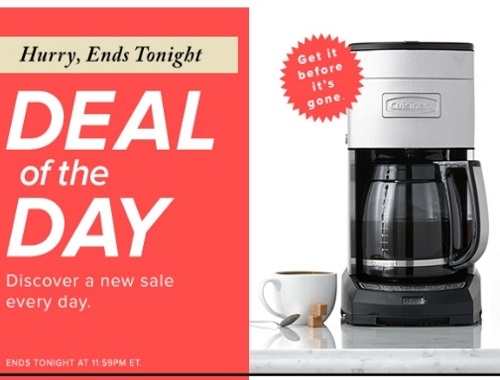 Today's is $90 off Cuisinart 12-Cup Coffee Maker $89.99. Plus 25% off select small appliances. Offer is valid today only, Wednesday, February 22, 2017.